2012 is shaping up to be one of the top movie years of this young century. It's already provided great blockbusters like The Avengers and The Dark Knight Rises plus excellent smaller work like Damsels in Distress and Moonrise Kingdom. The second half includes a score of releases from big-name filmmakers along with up-and-coming directors. This list easily could be expanded to cover 25 choices, so narrowing it down was no easy task. The placements are very subjective, and I could easily flip them around and still feel confident that they're the right picks. I'm not a big trailer fiend, so checking those out could also have a dramatic effect on the order. Regardless, the next four months should be heaven for any movie lover. Let's check out the list and see which films landed in my must-see group! Both of these picks have the potential to reach my Top 10 list by the end of the year. New Zealand's Andrew Dominik has directed only two films but remains a growing talent. The Assassination of Jesse James by the Coward Robert Ford has stuck with me and become more intriguing since the viewing. 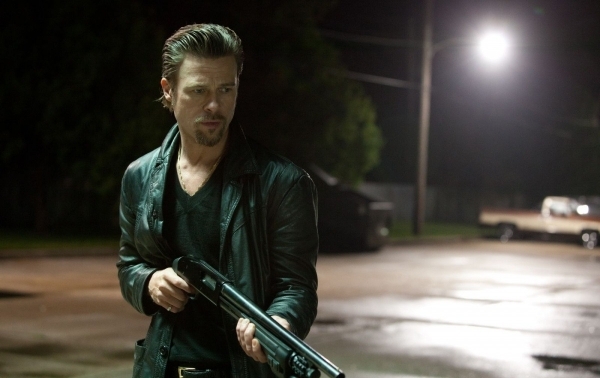 Brad Pitt re-teams with Dominik for Killing Them Softly, a crime thriller that also stars Ray Liotta, Richard Jenkins, and James Gandolfini. I'm in solely based on this group. I have the same feeling about Tarantino's latest epic, which has a brilliant cast. Along with stars like Jamie Foxx and Leonardo Dicaprio, we have Don Johnson, Bruce Dern, Walton Goggins, and Zoe Bell. Why isn't this higher on my list, you ask? I can't pinpoint the reason, but I'm experiencing a bit of Tarantino fatigue. 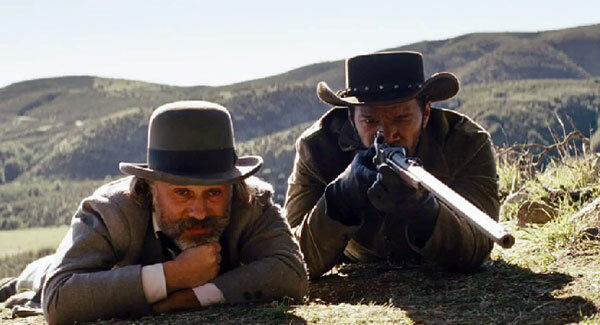 I know it's crazy and will likely disappear when I see Django Unchained, but it's enough to just push it down the scale. Martin McDonagh has only directed one movie, but it was the remarkable dark comedy In Bruges in 2008. He's returning in October with another offbeat look at the criminal underworld. This story takes place in Los Angeles and involves the kidnapping of a gangster's Shih Tzu. I'm on board with McDonagh for anything, but it helps to have a cast of over-the-top figures. Tom Waits, Christopher Walken, Woody Harrelson, and Sam Rockwell should chew every inch of scenery on the screen. These guys seem perfect for the British filmmaker's style and make this sophomore effort a highly anticipated choice. Even after the slight disappointment of Quantum of Solace, I can't wait to see the next chapter in Daniel Craig's run as James Bond. The plot is intriguing and centers around Judi Dench as M, which can't be a bad thing. Javier Bardem plays the heavy and brings even greater credibility to a franchise with plenty to spare. I've seen all the Bond movies and would be excited regardless, but the presence of Bardem and Ralph Fiennes raises my expectations. I might not love all of Sam Mendes' work, but he's an accomplished filmmaker who brings serious credibility to the job. Reports are that Skyfall won't connect as much to the first two movies, but I'm hoping that the revelations about the Quantum group still come into play. Craig has brought a professionalism to the franchise that was lacking during the latter Brosnan films. All the cards are in place for one of the great Bond movies. Considering the tremendous interest in the Civil War and Abraham Lincoln, it's surprising that we haven't seen more stories about that time period. This trend is starting to change, and the most prominent example is Steven Spielberg's upcoming biopic about the 16th president. Once I heard that Daniel Day-Lewis would play the title role, this moved near the top of my list. Adapted from Doris Kearns Goodwin's book Team of Rivals, the screenplay is written by Tony Kushner (Munich, Angels in America). The strong cast includes Jared Harris as Ulysses S. Grant, David Strathairn as William Seward, and Sally Field as Mary Todd Lincoln. I have high hopes that Spielberg can avoid the pitfalls of the biopic and deliver a great film. All I really need to say about this film is the name of its director. Paul Thomas Anderson hasn't missed yet with his five features, and this is one of his most intriguing concepts. The fictional depiction of a L. Ron Hubbard-like religious leader named Lancaster Dodd is primed to be one of the year's signature movies. 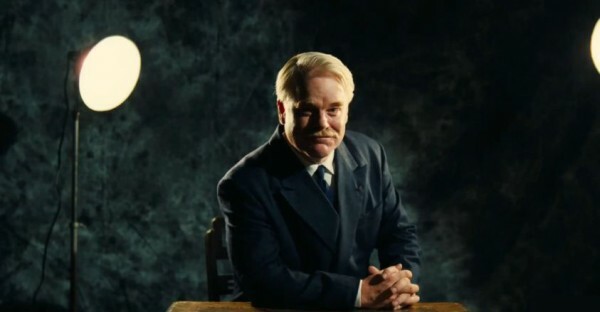 Philip Seymour Hoffman plays "The Master" and has had great success with Anderson in the past. Joaquin Phoenix returns to the screen for the first time in four years (not counting I'm Still Here) as a drifter who joins up with Dodd. The teaser trailer gives away little about the plot, but that makes it even more compelling. I'm a sucker for time-travel movies, especially those that involve multiple variations of the same character. Joseph Gordon-Levitt plays a younger version of Bruce Willis' Joe who closely resembles him thanks to some clever make-up effects. Joe is a "looper" who travels through time to kill people for the mob. It's a stunning concept that only scratches the surface of where the story seems to be heading. Emily Blunt, Jeff Daniels, and Garret Dillahunt co-star in this mind-bender. I haven't even mentioned that Looper is directed by Rian Johnson, whose other two movies are Brick and The Brothers Bloom. This September release will be here before I know it, and I can't wait to see how it lives up to expectations. I'd love to hear your thoughts about this list. What upcoming films are you looking forward to the most? You should also check out past Top 5 Lists if you've missed them. I think my most anticipated movie of the rest of 2012 is The Hobbit, I'm a real Lord of the Rings fanatic. Otherwise, this list looks very interesting, I also like that you don't watch too many trailers - I don't like to either. 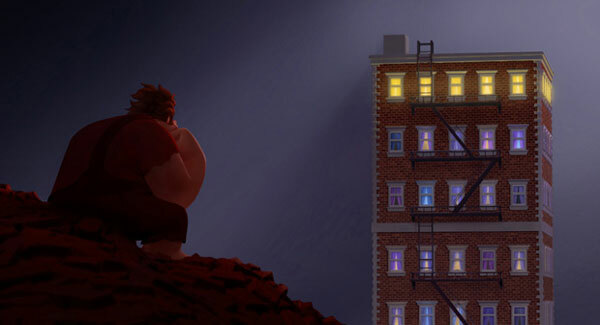 Though sometimes watching them can make you want to see a film even more. Mette, I'm also intrigued by The Hobbit, though the switch to three films makes me nervous. I doubt it will have much of an effect on this movie as the second one, though. Either way, I'll be excited to check it out for sure. I don't mind watching trailers in the theaters or before a DVD, but I rarely seek them out online. I did check out a few when preparing for this list, but I'd rather go into the movie pretty cold. For me it's definitely Skyfall and the movie adaptation of Les Miserables. As a big fan of the musical I can see only two possible outcomes - a brilliant adaptation or a mess that massacres the musical. Will be fascinating to see how it goes. Louise, I'm impressed by the cast of Les Miserables and think that Crowe and Jackman should do well as Javert and Valjean. I'm not as knowledgeable about the musical, so I'm not sure I'll get to it in the theaters. However, I'll be keeping an eye on the reactions to it. 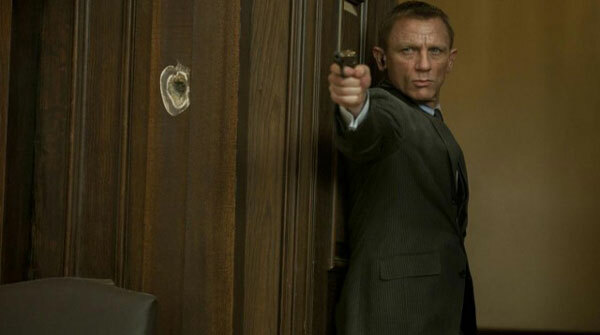 I'm definitely with you on Skyfall. Thanks! Fogs, I think it says a lot that I'm a Spielberg fan and haven't even seen War Horse yet. What interests me about Lincoln are the subject matter, Daniel Day-Lewis, and the fact that it's only covering a few months of his life. It isn't trying to be too ambitious, so it hopefully won't be a lame biopic. That said, you're right to have some reservations on it. 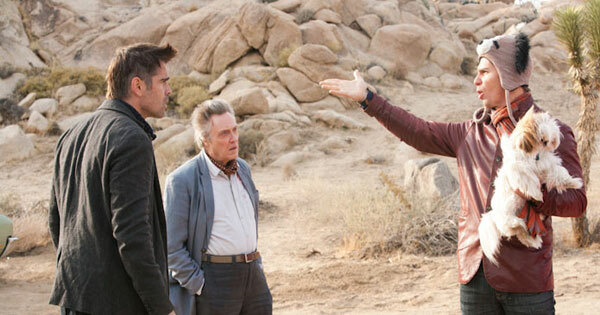 I'm really looking forward to Seven Psychopaths, The Master, and Les Miserables. 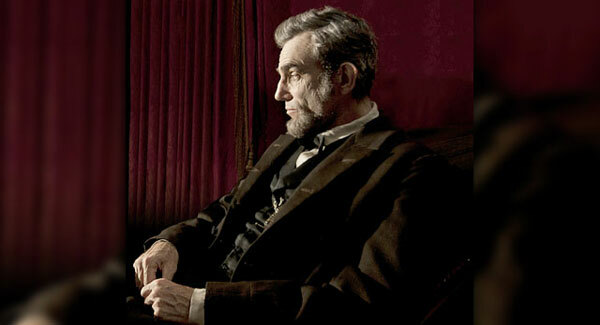 Looper and Lincoln are intriguing, but I'm not getting my hopes up. I love that you included The Man with the Iron Fists by the way. Crowe's presence alone makes me want to see it. I actually considered moving up The Man with the Iron Fists, but I didn't see anything that it could replace. It has the possibility of being terrible, but with Crowe involved, it could also be great. There's a fine line for a movie like that. I'm looking forward to checking it out. Surprised the Looper is your most anticipated. Not mine by a long shot. I'm not even sure when it comes out. I'm just going to put The Master as my number one for the moment and we'll see how the others play out. I could be wrong, but I've enjoyed Rian Johnson's work a lot so far. Even his recent Breaking Bad episode was great. I'm also a big fan of time travel movies, so that probably plays a role. I can't argue with The Master being there, obviously. Completely forgot about Lincoln -- could go either way really couldn't it, masterpiece or over-long bore. Let's hope! I totally agree. I'm intrigued by the approach to cover just a small portion of his life and having Daniel Day-Lewis as the star. I really hope it avoids being so dreary that it becomes lifeless. It's really hard to say how it will end up being.